Last month, I took part in a cleanup of the beach along the Palisadoes strip. There were about 50 of us and we collected 60 huge bags of garbage in just about two hours. We left the toilet and microwave oven that someone had deposited on the beach. What kind of person would do a thing like that? I was really surprised at the amount of Styrofoam littering the beach. There were clean white plates that looked as if they had recently blown away before use. And then there was a whole heap of dirty Styrofoam that must have been left ages ago. A total mess. Styrofoam is the brand name of a petroleum-based plastic that does not biodegrade. It breaks apart into bits and pieces that keep getting smaller and smaller until they turn to dust. But Styrofoam doesn’t disappear. It lingers on and on for centuries! That’s no exaggeration. You just can’t get rid of it. So-called ‘disposable’ Styrofoam food and drink containers are not actually disposable. They are disposable only because they are thrown away after a single use. What a waste! Just think how many Styrofoam containers we dash weh every single day in Jamaica. And where do they go? To the dump, taking up valuable space. Masses of Styrofoam containers also get away into the sea. Fish eat the Styrofoam. And we end up eating the fish. We might as well gobble down the Styrofoam container along with the food. Because the Styrofoam is already in the food chain! Note chiefly! The Dictionary states that the shut pan was also used to catch duppies. Seriously! Talking of which, mi nearly dead wid laugh the night I went to see Patrick Brown’s ‘Duppy Whisperer’ at Centerstage. It was a benefit performance for my friend Scarlette Beharie, a vibrant theatre practitioner fighting Stage Four cancer. Scarlette made a brief appearance and told us to enjoy the show despite the serious cause. And we certainly did. Before the play started, I got into a little situation with the mother of young woman whose hairstyle was blocking my view of the stage. She had natural hair, swept up and out into a huge ball. It was like an Afro on steroids. I gently told her that her inconsiderate hairstyle really wasn’t appropriate for the theatre, especially our makeshift venues that are not purpose-built. The rows are all on the same level instead of being graded. And the seats are not staggered. You look directly into the ‘head back’ of the person in front of you, rather than to the side. The mother was unimpressed by my frankness and told me I was against her daughter’s hair because it was natural! I was lucky to be able to switch seats. The shut pan for food, not duppies, was an excellent idea. It was certainly not disposable. There was no constant waste of containers. The pans had compartments stacked on top of each other that allowed food items to be kept separate. I’m not sure how these shut pans came to Jamaica. It may have been via India where they are known as tiffin boxes. The old-time shut pan is no longer in fashion. But there are new models all over on websites like Amazon. Instead of buying cooked meals served in Styrofoam, why can’t we carry our own reusable food containers to takeaway restaurants? Another option is to replace Styrofoam with biodegradable containers made from materials like sugar cane, wheat and corn. These are much more expensive than the cheap plastic products. But the cheapest almost always turns out to be the dearest. There was a local company that used to manufacture truly disposable containers, facilitated by a government subsidy on imported materials. But the subsidy was cut and the cost of making the ecofriendly products was just too high. And that was the end of that. The Palisadoes cleanup was organised by the Japan International Corporate Agency (JICA), in partnership with the Jamaica Environment Trust (JET) and the ‘Nuh Dutty Up Jamaica’ campaign. Cleverly billed as ‘Garbie Walkie’, the cleanup combined exercise and public service. We had a lot of fun. As I was leaving the beach, I heard a woman say, “I don’t want to use Styrofoam ever again!” She admitted that she couldn’t say she absolutely wouldn’t. Sometimes you just don’t have a choice. Supermarkets pack fruits and vegetables in Styrofoam containers. But if enough of us decide we’re not going to buy products packed in Styrofoam, things will change. Consumers do have power. And as for the campaign to stop duttying up Jamaica! It’s an uphill battle to persuade some people that garbage is everybody’s business. They think that when they fling rubbish out of a bus or car, it’s no longer their problem. They are so short-sighted. That’s how you end up with a toilet on the beach. Pure crap! Charles Boycott, the son of an Anglican priest, was a most unfortunate man. He’s the brand name for a very effective type of social protest. But he was on the wrong side of the struggle. 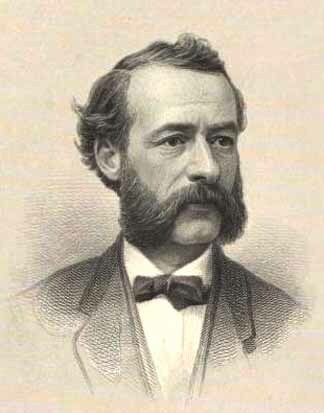 Boycott was born in England in 1832 and served in the British Army. After retiring, he worked as a Iand agent in Ireland. Lord Erne, an Anglo-Irish peer, politician and absentee landlord, employed Boycott to manage his estate. In 1880, harvests were very poor so Erne reduced his tenants’ rent by 10 per cent. But they were not satisfied and demanded reduction to 25 per cent. Erne refused. Boycott tried to evict 11 protesters. When word got out, the tenants took action. 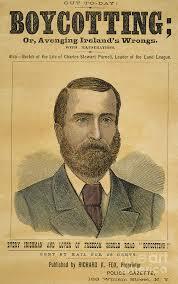 They were guided by the advice of Charles Stewart Parnell, an Irish landlord with a conscience. He was the first president of the Irish National Land League, founded in 1879. Their mission was to advocate for land reform: reducing extortionate rents, ensuring that tenants could not be unfairly evicted and enabling tenant farmers to purchase land. Parnell recommended that when tenants took farms from which others had been evicted, the newcomers should be isolated. No violence; just leave them severely alone. Parnell’s tactic was first used against Captain Boycott. Workers went on strike. Local suppliers of goods and services declined to do business with Boycott. Even the postman stopped delivering mail. Boycott couldn’t get anyone to harvest the crops and, in the end, 50 members of the Protestant Orange Order volunteered to do the reaping. Even though there was no threat of violence, they were escorted by 1,000 police and soldiers. The cost of protection was much more than the value of the crops. It would have been cheaper to just give the tenants the 25 per cent reduction in rent. The rejected word ‘ostracism’ wouldn’t have been all that difficult for the peasantry to understand if they had been educated about its origin. It comes from the Greek word ‘ostrakon’, meaning ‘tile’. The Online Etymology Dictionary notes that ostracism was “a method of 10-year banishment in ancient Athens, by which the citizens gathered and each wrote on a potsherd or tile the name of a man they deemed dangerous to the liberties of the people, and a man whose name turned up often enough was sent away”. Pity we can’t banish some of our politicians in this way. “Sorry for my mistake, Carolyn. 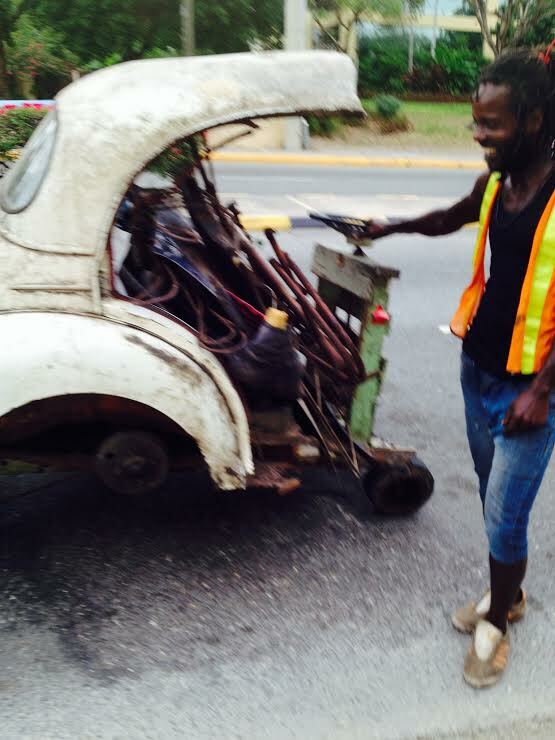 I was positive that was a Jag you were driving at UWI. Jaguar may me [sic] owned by Tata, but it is still headquartered in England. Designed and built in England. If you want us to get serious about this Boycott, you need to come up with a more robust definition of ‘British’. Even the Queen isn’t British, [sic] her family is actually German! Most major brands are now owned by multinational corporations, so your simple rule about ownership won’t work”. Even in an age of multinational corporations, my supposedly ‘simple rule about ownership’ has validity. Take, for instance, the case of the Volkswagen Group. Bentley, Bugatti, Lamborghini, Audi, Porsche, SEAT, Škoda and Volkswagen are all owned by the company, which has both automotive and financial services divisions. The company operates in approximately 150 countries and has 100 production facilities across 27 countries. VW has two major joint ventures in China. As a result of the recent diesel emissions scandal, there have been calls to boycott VW. Consumers understand their collective power. And they know what ownership means. It’s a pity some of us can’t ‘own’ the right to reparations.